The purpose of debt consolidation is to pay only one loan. Many individuals are faced with the problems of paying many loans. There might be student loans, home loans, personal loans or even credit card payments. When it comes to all of these, there will be confusion about which one to pay and when to pay it. Not only will the interest rates vary from bank to bank, the payment options as well as the time of the payment will also vary. 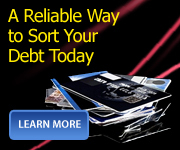 To sort out this problem, a debt consolidation is sought. Through this method, the borrower may pool in all his debts, and take a fresh loan against some security. This method is normally sought to seek lower interest rates, and also to make sure the interest rate is fixed. In most cases the collateral taken for this loan is a house. If there is no security, there are chances that the interest rate may be higher. So it is wiser to set the loan against some security. Many individuals who seek these loans will want to pay back certain credit card loans, as the interest on those will be higher than most loans. The option of debt consolidation will also have to be thought of carefully by the person going in for such a loan. If he is doing this because he prefers this to declaring bankruptcy, there will be the debts to consider. He will have to pay back all the debts. It is sometimes better to choose this option, as it will allow the person more chances of maintaining his credit record, and it will be good for further use. Debt consolidation is also used against property, as this will give the lender assurance that he is safe even if his loan is not returned. This is the only reason for him to reduce the loan interest rates. The borrower should also be smart enough to look around for several lenders, and check all their interest rates, before picking one lender. The borrower must also not hesitate to ask if there are any various options that he can choose from. Some companies may indulge in forcing the borrower to refinance the loan, and get into a situation where he is unable to come out of it. So before applying for the loan, the borrower should also check the credentials of the company. Debt consolidation also means that the unsecured loans are all becoming secure loans. This will mean that the borrower risks the chances of losing his property if he is not paying back on time. Though in this debt, the borrower needs to pay only monthly installments, the entire amount including the interest may calculate to a much higher amount. Some companies also offer the options of offering debt consolidation loans, without it being secured. This option will also have to be looked into by the borrower. And he must seek the advice of a financial consultant before moving forward. How Can Credit Card Debt Consolidation Help The Holders? Credit cards have proven to be a great help to the holders of the credit cards. These cards have provided many benefits to the population all over the world. However, things can still go wrong sometimes even with credit cards. That is why it is recommended that one should consider the option of credit card debt consolidation. This option of credit card debt consolidation seeks to eliminate all the possible risks attached with the credit cards and its usage. •The credit card holders can over spend with credit cards and therefore, have to take the overdraft facility. •In case the overdraft facility is taken it brings about payments of fines and interest on the amount taken as over draft. And the fines and penalties are not that small; they are relatively higher and only a select few can handle them in a manner that they ought to be. •With credit cards from more than one bank, it can become awkward and difficult to keep track of each. This can build up debt and lead to many problems. This small problem can bring about many serious repercussions to the holders of the credit cards. The saying “small holes sinking big ships” can certainly be applied over here. To prevent these kinds of happenings, what experts advise is to take credit card debt consolidation. What this will do is that it will cover all what you owe to the banks with a single loan and now the borrower of the loan just has to cater to the loan and not the credit card borrowings. The other benefits of this credit card debt consolidation are that there are no fines and penalties to payoff, a borrower has same loan options that any other loan borrower may have. Also the interest rate of the loan would be either lower or at best in accordance with the rate at which the credit card overdraft had to be paid. Another thing about credit card debt consolidation that is good is that they can be taken even when the holder is in good condition as the loan would be only of a lower interest rate. In addition, any one can take the credit card debt consolidation, be it a person with good credit history or with a bad credit one. Applying for the credit card debt consolidation loan is pretty much similar to the approach that one requires to apply for any other loan. The difference may be in the terms that are offered with the loan. So for people with credit cards, there is some serious food for thought regarding your credit cards. Things can only get better with credit card debt consolidation. The first principle towards settling your debt and moving towards a debt-free existence is in prioritizing your debt. What you must hold on for now to and what you must clear immediately is the first step towards debt management. A good debt management and prioritization of you loans settlement will get you out of debt. This article will give you some information guide on your debt management. Logically, the one with the highest rate of interest is the one that should be cleared quickly. Two types of loans that should be cleared as soon as possible are personal loans and credit card loans. The interest rate on these loans is the highest. On credit cards, it amounts to around 24% per annum (at 2% per month). A personal loan should be around 18% onwards. Even if you get the personal loan at a discount, it would be around 14% per annum. Which loans can be serviced over time? Home loans and education loan offer tax benefits and can be settled over time. Same for loans to family or friends, which are either interest-free or carry a low rate of interest. If you are in the bad debt situation, it is critical for you to close as much of loans as possible in the short period of time. Look at your asset list and see whether you have loan on these assets. For instance, you take a car loan for an asset - which is the car. In such a case, you can sell the car and close the loan. If you are really struggling to pay your home loan, shifting to a smaller home or more economic location is solution for it. As you know credit card interest rate is high and you might not able to clear it in short period of time; then, look for an alternative and switch it to a financier who will charge you a lower rate of interest. For credit card, there is service call balance transfer. Say you are paying 2% or 2.25% per month on your card. You can go in for another credit card. They will pay back the bank and transfer your loan onto the new card. For the first six months, they will give you a lower interest rate. Say 1.5% or 1.75% per month. This lower rate of interest will help you pay back more. For home loan, there are home loan packages which offer a very loan interest rate in the first 3 to 5 years; some even offer 0% interest rates in first 1-2 years. Take up these benefits by refinancing your home loan. Almost all people have debt in somehow or rather and debt is the worst poverty. Being in debt is bad enough and not managing it well is worse. Know your debt and manage it property and you will get out from debt one day. Debt consolidation programs are good if you are paying on several different loans. They can make your life easier by giving you one monthly payment. Your monthly debt decreases if the program you use for debt consolidation stretches your payments over a long period of time. Paying less every month will free up some extra cash. A successful strategy sometimes is to use a debt consolidation program. With these programs you can manage various high-rate revolving debts with one payment. Let’s say you have several high credit card balances with high interest rates. With the debt consolidation program, you will be able to lower the interest rate you’re paying and manage the debt better. A debt consolidation program doesn’t eliminate your debt. All these programs do is move your debt to make it easier to make the payments. You will have to pay the money back sooner or later since you do owe it. 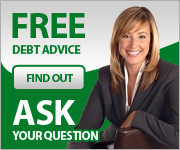 One problem with a debt consolidation program is you will feel like you owe less. Your credit cards will again have large amounts of available credit for you to use. Beware of digging yourself into a deeper hole by continuing to add to these balances. With a debt consolidation loan you may end up paying more in total interest. By stretching your payments over a longer period of time, your total interest cost could possibly be higher. Of course, it may help you more easily manage your current cash flow. There are risks by using debt consolidation programs. If you’re using a home equity loan or line of credit to consolidate your debt, the consequences of falling behind on the payments can be disastrous. You could lose your home if it is pledged as collateral against your loan. You should shop around to find a program that fits your needs. Local credit unions and banks you already deal with are a good place to start. They are a reliable source and will most likely give you a fair deal. You might also try a bank you aren’t currently working with. Be careful of scams though, when searching the Internet for debt consolidation. When searching for a debt management company, look for experience, how professional the company is, their assistance and budgeting services. Try to find a local company you can communicate with without having to drive for hours to talk to your counselor. The debt management industry is unregulated. Scam artist are out there waiting to charge your outrageous fees without informing you of the best solution for your situation. Try to find out some of their customers and talk to them. Get recommendations and research online if possible. When you team up with a debt management company who is less than above board, you may be left feeling insecure. You should relate well with your counselor and understand what they suggest. That peace of mind should help you pursue your goals and your financial future more comfortably. Also the debt management company your choose should be a be advise you on how to deal with angry creditors, whether bankruptcy is an option or how to consolidate debt or simply reorganize your bill payment schedule. Remember, your main goal is to work towards a better understanding of your financial debts. You will want to learn how to take care of your own debts, assets, and financial goals through your counselor’s advice. The debt management and debt consolidation is only stepping stone towards your own financial self-reliance.